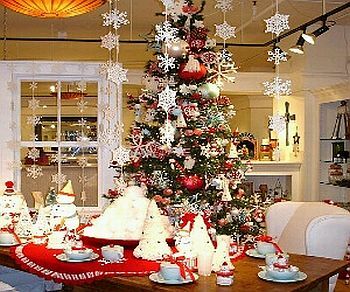 There are many options for decorating your living room at Christmas, depending on your space, style, colors and elements that characterize, and of course, you want to follow the trend, indicate the way to go when decorating. 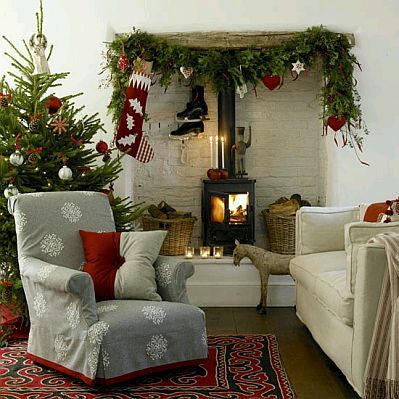 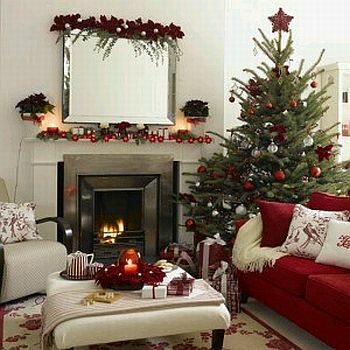 Here are some ideas you can use to decorate the living room in your home this Christmas. If you have a fireplace is good idea to put some decorations on top, with ornaments of the same type and color as those you used in the tree. 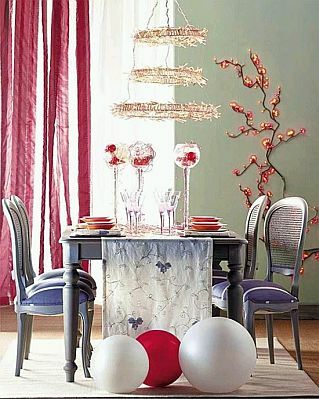 If you prefer something with more style and clarity, you can draw a thin tree branches and red lights, and put on the table some glasses with red flowers. 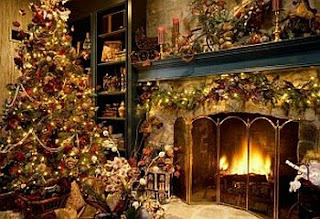 In this picture you have the tree with a series of ornaments, and not overburden the environment, above the fireplace white candles were placed on a base with green leaves. 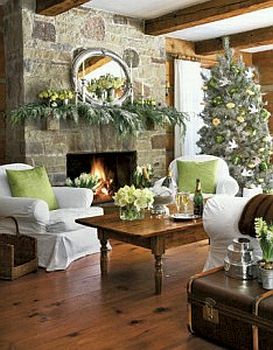 This fireplace also placed candles, but the base has more greens. Pretty decoration ornaments based on red, flowers, beads and leaves, which make the perfect combination with white and red cushions. 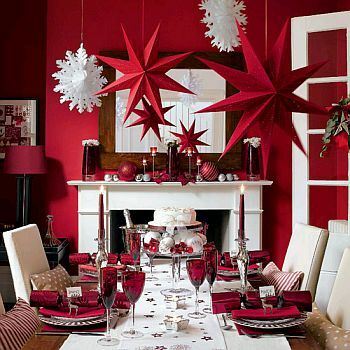 If you like red and white colors to decorate your home this Christmas, just put ornaments like these and everything is perfect. 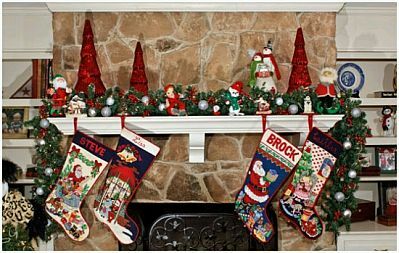 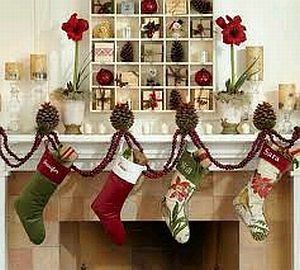 If you are a person who believes that Christmas stockings or boots are a must, nothing better to place them in this way. 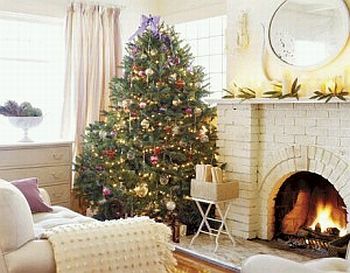 You can also highlight the place where you put up the tree and decorating it with some Christmas dolls. Finally, an interesting proposal combining red tablecloths and white hanging decorations and a tree with ornaments of the same color.